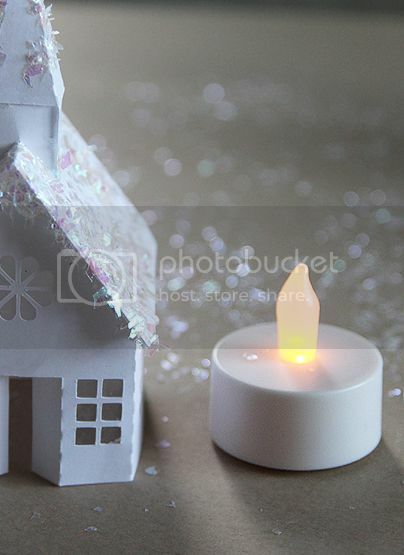 Here's some fun holiday décor to get you into the spirit of the season, a tea light snow village! I used this and this cut file from the Silhouette store to make the pieces of the village, each quite easy to put together, and oh so cute to look at! For a real glow, I added wax paper behind each of the windows and doors. 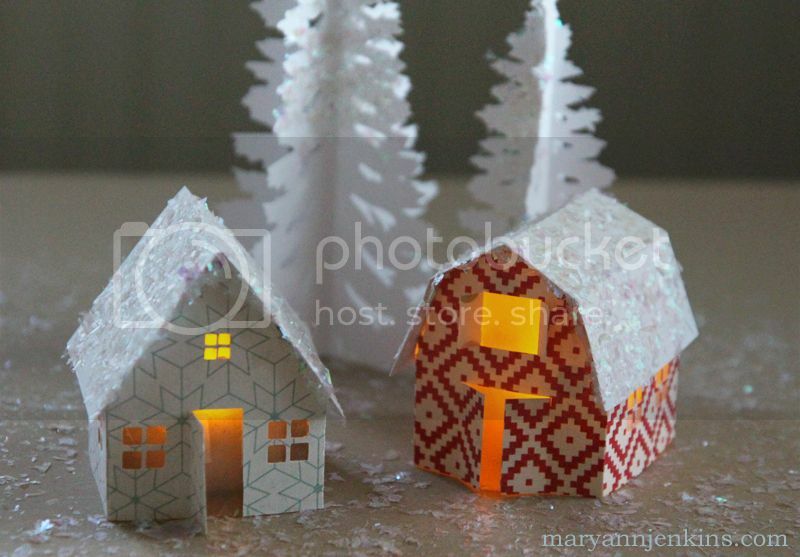 I used scrap pieces of white cardstock for the church and trees, and the cottage and barn were made with the pretty papers from Echo Park and October Afteroon. 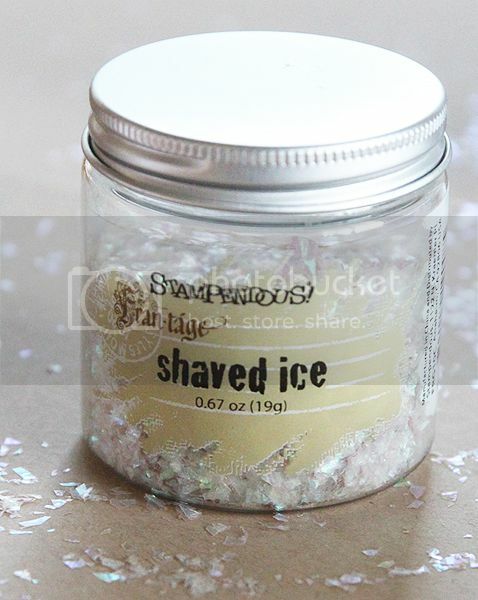 To add a bit of sparkle and to look like snow, I used Shaved Ice by Stampendous on the rooftops and trees. Silver or gold glitter would look pretty too! **I'm linking up to the "Owl I want for Christmas" issue at Paper Issues!!! These are beautiful, I love the glittery tops. Thank you for sharing the link to the cut file. Beautiful houses ! Love the ice effect. TFS ! Love them! So sweet! My kids would love this project! Wow wow wow!! These are all gorgeous!! I love them!!!! oh my goodness!! Those are each so adorable! So glad to see them! Darling! I LOVE the glitter! This is so nice!! 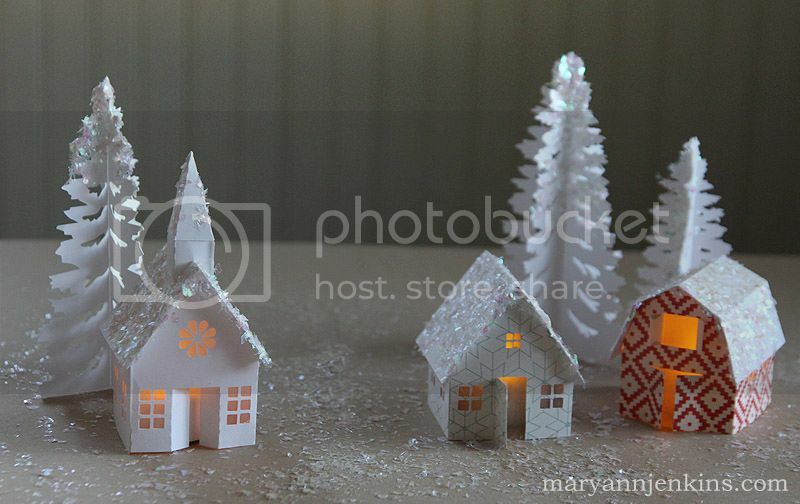 My favorite is that cute little barn! Love the snow too! TFS! This is so so SO stinking cute!! I LOVE it! 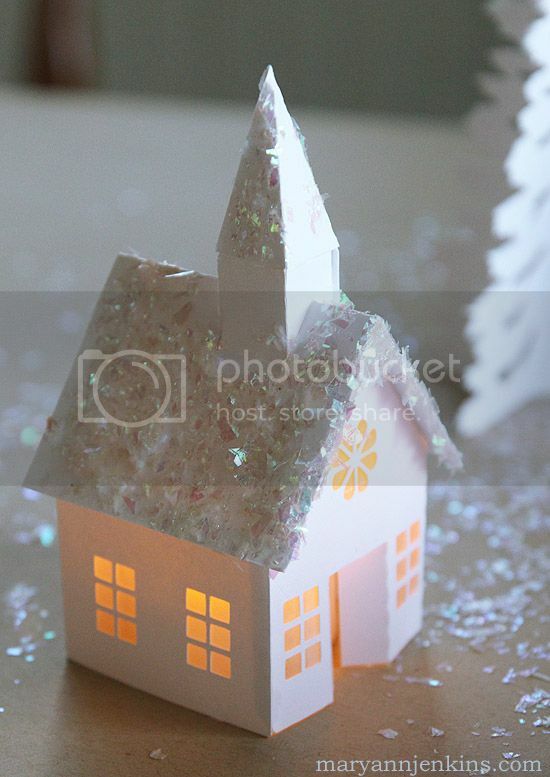 I am going to use some little houses like this for my countdown to christmas!!! Holy cuteness Batman!! This is an awesome project Mary Ann!! And I love the sparkly you added to it with the glitter! So fun! Love this village! Pinning them ... maybe we make these for Xmas!